When people think of dental care, odds are they think only about the teeth and how to keep them bright and healthy. In reality, the teeth are only half the equation in realizing good oral health. The health of your gums and bone that support teeth is just as important as preventing problems with the teeth themselves. Gum disease is every bit as prevalent as tooth decay and, like tooth decay, can develop without causing any symptoms at all. This is why regular dental visits are vitally important in ensuring that gum disease does not advance unchecked. Properly known as “periodontitis,” gum disease involves gum recession, inflammation, and loss of bone structure that supports the teeth. Each of these issues is caused by the bacteria that form plaque, tartar, and in some cases, cavities. When these bacteria adhere to the teeth, they undergo metabolic processes that lead to the destruction of tissue, bone, and tooth. The sole purpose of brushing, flossing, and receiving regular dental cleanings is to remove these harmful bacteria and prevent them from causing problems in the mouth. 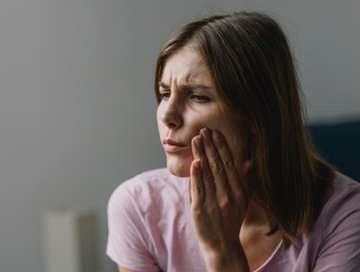 Arguably the most dangerous aspect of periodontitis is that it is a “silent disease,” in that it can progress for many years before a person even realizes there is a problem. It is estimated that 75-80% of adults have some degree of periodontitis, most of whom are completely oblivious to the issue. Furthermore, the negative effects of periodontitis are often very difficult, if not impossible, to repair. Aside from oral health problems, there is growing evidence that points to a link between heart disease and gum disease. Typical symptoms of periodontitis include receding gums, bad breath, teeth that have become loose, teeth that have drifted into different positions, and a difference in the way teeth fit together when biting. Should you notice any of these symptoms, it is wise to make a dental appointment so that we can evaluate your needs and help you get on track toward improved oral health.